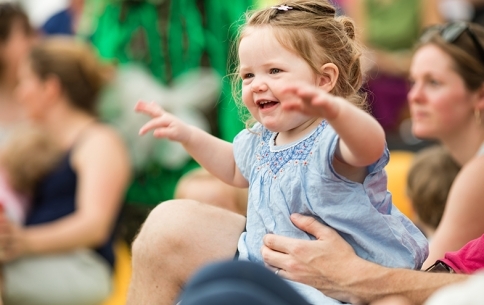 Join our early-years specialists and wonderful musicians for some good vibes, as young children discover new sounds, sing nursery rhymes, get to know jazz classics, dance and join in. Children under 12 years must be accompanied by a ticket holding adult aged 16 or over. A ticket must be purchased for each person attending, including children under 2 years. No tickets are required for free Yamaha Sessions. Age recommendations are here to help you as an approximate guide to the ages of children who we think will most enjoy each performance. Everyone is always welcome to all of these shows, but some parts will be more suited to the ages we’ve suggested. Our dedicated venue for family-friendly events, with a mix of mini-gigs, workshops and craft sessions. The venue has informal, unreserved seating with lots of comfy beanbags and floor cushions for kids.